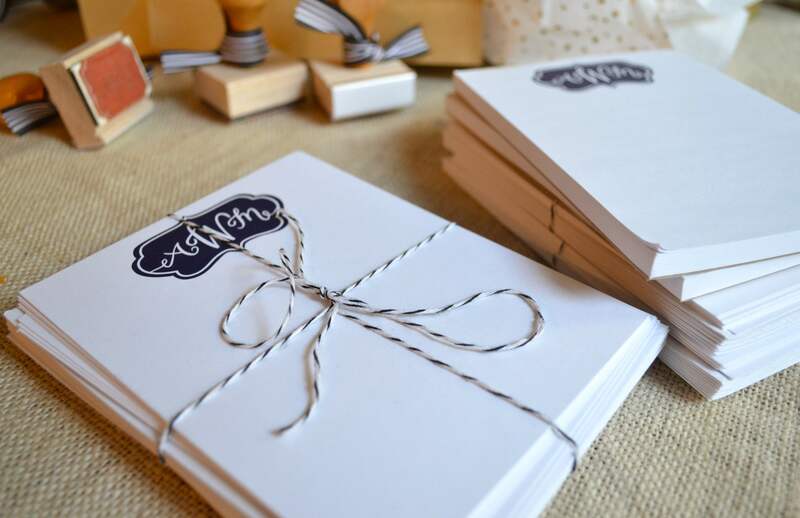 Last month, one of my fabulously creative friends asked me to create stationery for her mom and two sisters. It wasn’t something I’d done before, but I was so inspired by her ideas and couldn’t wait to get started. 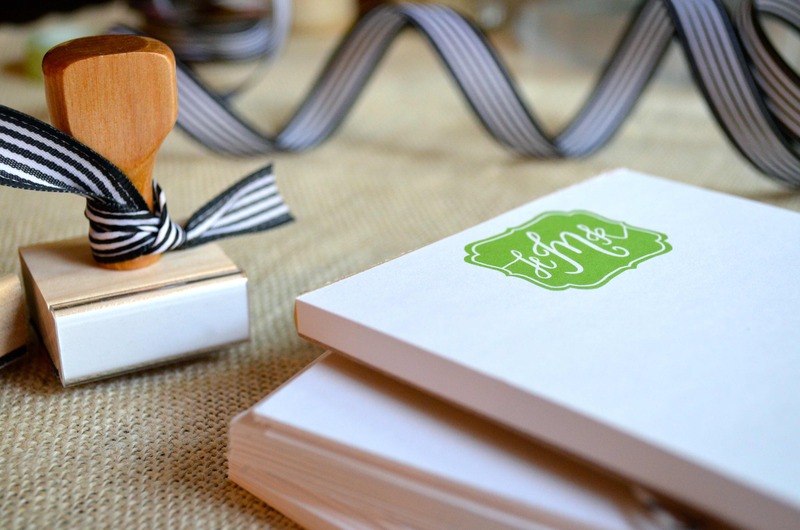 Kathryn (a classy Southern girl) asked for monograms in calligraphy. So perfect. 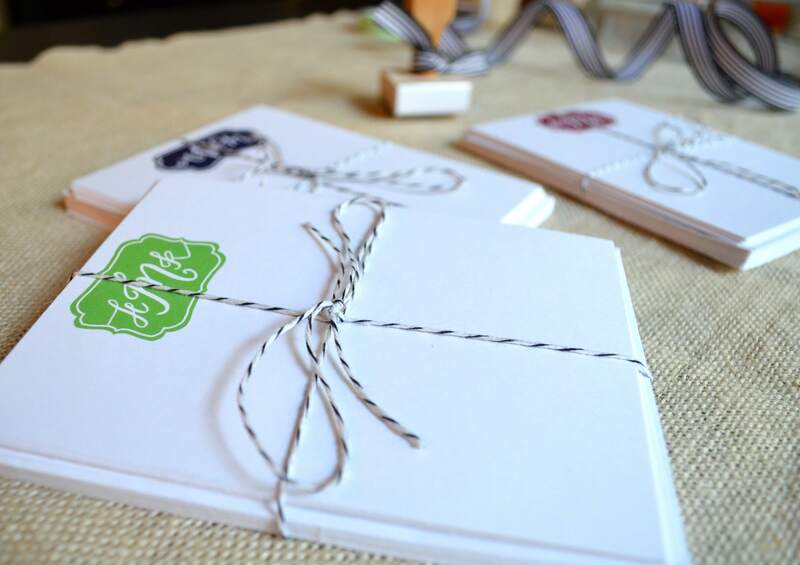 I did some research and we decided on colorful monogrammed note cards and notepads. 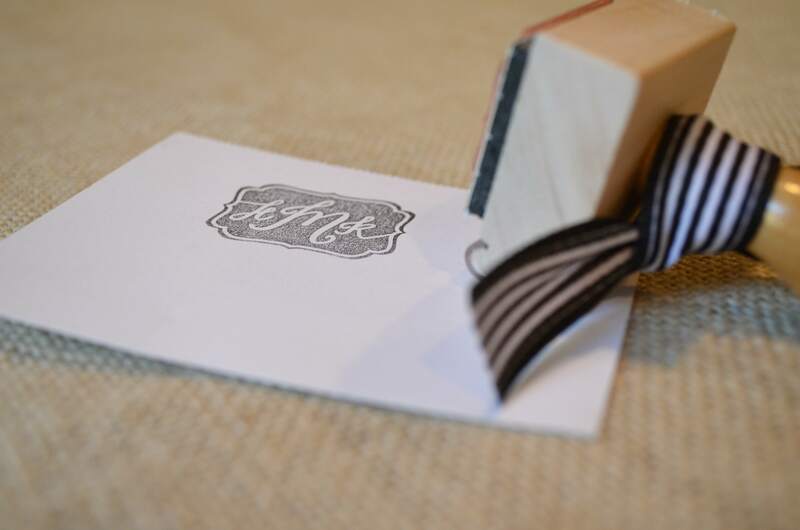 But after we got started, she came up with a brilliant addition: custom rubber stamps so their charming little monograms can be pressed wherever they wish. Adorable!